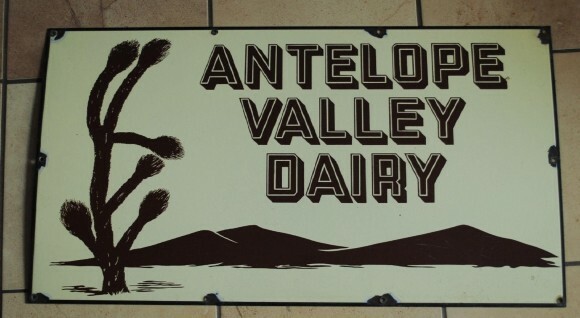 This Antelope Valley Dairy sign is 17″ by 31″. The sign is made in two colors, a black and a tan color. The foreground has an illustration of a cactus to the left and mountains in the background. The text reads “Antelope Valley Dairy” in an outlines font.